Still using Bash? It&apos;s cool, though you might want to switch to zsh and give your shell some super powers! Give it a shot, you&apos;ll love this! You might have been advised elsewhere to use the zsh-newuser-install but I wouldn&apos;t recommend that. While the intentions of this little program are very good, it scared me off from switching to zsh in the past. There is a much better way thanks to a community-driven zsh framework oh-my-zsh. This wonderful framework will configure your zsh with super powers collectively build based on experience of the community. Not only that, it will allow you to select more esoteric super powers as plugins. Even better, it will allow you to select one of more than hundred themes that delivers super powers to your prompt. Excited? Read on. provided that you have git and zsh installed (obviously). 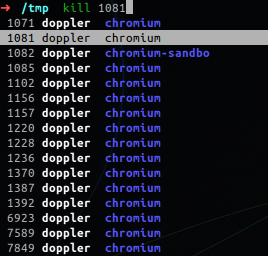 However you probably shouldn&apos;t run random scripts of the internet without reading it first. This scripts clones oh-my-zsh repo into a hidden directory in your home, configures zsh to use oh-my-zsh, and subsequently changes your default shell and switches your current shell to zsh. Either way you should now see very basic but colorful prompt. Let&apos;s try the magic powers! # I can never remember nmap switches. 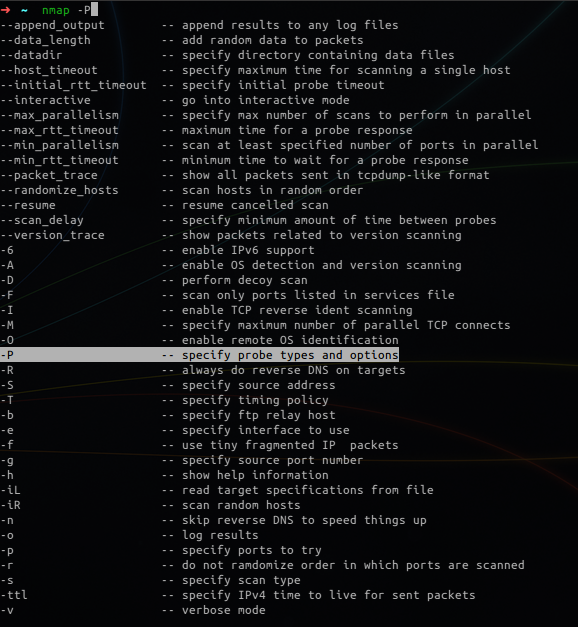 No more need for man nmap! See that -P is highlighted? Navigate options with ↑ and ↓ and select one using ↵. # I dont need no MC! Zsh will suggest usernames & hosts based on where you&apos;ve previously sshed to. Zsh will list remote directory and/or matching files when using scp. It will only work if you&apos;ve password-less access to the remote, i.e. when you&apos;ve pre-shared rsa/dsa keys. # is your chrome misbehaving? Epsecially useful when you make typos as oftn as I do. # surely fast hatchback is not what you wanted! # auto-correction is cool! 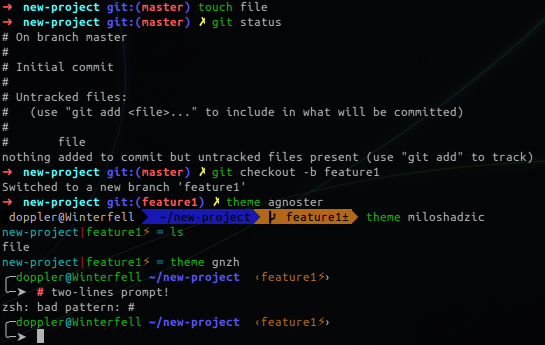 Let&apos;s enable it for git commands as well! There are more than 100 themes in core repository and then there are thousands of forks if you can be bothered to browse them. Surely at least one of these will match your needs. And if not, oh-my-zsh comes with predefined functions to help you build your own! Start typing and press ↑ and ↓. Zsh will search for any command containing that string. to enable this functionality you need to enable plugin history-substring-search. This one is a bit more involved as you need to install additional plugin. Fasd is a command-line productivity booster inspired by tools like autojump, z and v.
To get fasd working we need to install it. You might need to do it manually unless your system package manager contains fasd. If installing fasd is too much hassle for you might have more luck with autojump - once you have it installed you can use plugin bundled with oh-my-zsh. Any other shell superpowers I&apos;ve missed? Let me know!